Nesfatin-1, derived from the protein NEFA/nucleobindin2 (NUCB2), is a newly identified peptide that acts as a potent satiety agent. It has been reported that peptides involved in the regulation of ingestive behavior are also involved in the regulation of the stress response. 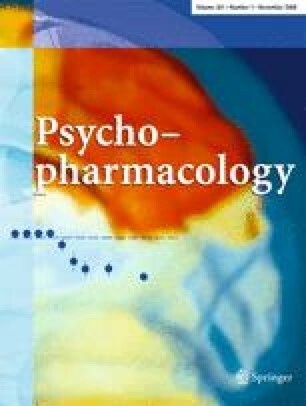 However, the relation between nesfatin-1 and stressor-related behaviors like anxiety and/or fear has not yet been investigated. The effects of intracerebroventricular (ICV) injection of nesfatin-1 (0, 5, and 25 pmol/3 μl) were assessed in several paradigms that are thought to reflect anxiety and/or fear in rats. Consistent with an anxiogenic effect, nesfatin-1 dose-dependently decreased the percentage of time spent on the open arms of the elevated plus maze, increased latency to approach, and decreased consumption of a palatable snack in an anxiogenic (unfamiliar) environment. Moreover, ICV nesfatin-1 increased the fear-potentiated startle response and the time spent freezing to both context and conditioned cues in a conditioned emotional response test. These findings suggest that in addition to its role as a satiety peptide, nesfatin-1 may also be involved in the mediation of anxiety- and/or fear-related responses. This study was supported by funds from the Canadian Institutes of Health Research (CIHR) and the Natural Science and Engineering Research Council of Canada (NSERC). HA is a Canadian Research Chair in Neuroscience. All experiments were conducted in accordance with the current laws of Canada. None of the authors have any direct or indirect conflicts of interests of a financial nature relevant to the present work.